Free Breast Cancer Screening in October. Should I Wait? Susan Ngure, a now cancer free woman narrates her story how she felt a breast lump and waited for the lump to go away. She waited and waited only to later learn her lump was breast cancer. So are millions of other women in Kenya who are sitting on assumption that everything is okay. Lucky for Susan Ngure, she was in Australia when she first experienced a breast lump. She waited and waited for the lump to go away but it never happened. Susan recommends going for screening BEFORE you get a lump. You may never get breast cancer but given that 1:8 will be diagnosed with breast cancer in their life time, better to get screened than to be too late. 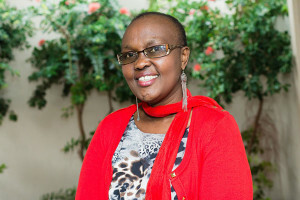 Rarely do we hear many stories of breast cancer survivors who have fought the battle in Kenya and stayed in Kenya throughout until they became cancer free. These cases are there but the cost of breast cancer treatment is large enough that those who can afford full course treatment would rather go to first world where breast cancer treatment is advanced and all modes of therapies are available. 99.9% of Kenyan women cannot afford full course breast cancer treatment and this is why everyone in Kenya needs to learn breast self exam (BSE) and clinicians needs to recommend clinical breast exam (CBE) for anyone above age 40. CDC recommends annual mammogram for every woman over age 50 and over age 30 in high risk families. Unfortunately, in Africa, it is nearly impossible to tell who comes from high risk family since those who may have died of breast cancer died undiagnosed or without getting into national breast cancer database. Your best bet is… Get screened today. 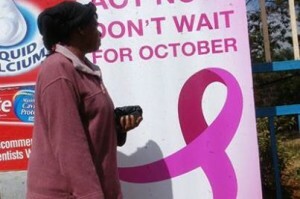 Don’t wait for October to get breast cancer screening. Don’t assume everything will be okay while you can get the truth by getting screened. 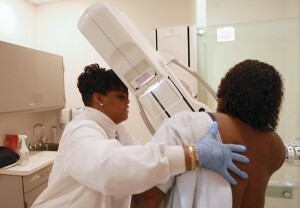 Don’t wait for free breast cancer screening because it might be too late. The earlier breast cancer is diagnosed, the better the outcomes of treatment.